Are you prone to a problem with 'Diarrhea'? Diarrhea may be a sign of inflamed, irritated intestines, such as occurs with parasites, drinking alcohol, or too much coffee. Diarrhea may also be a sign of too much bile in the intestines, or simply poor indigestion. Nearly 1/3 of all people with diarrhea type IBS have bile acid diarrhea. 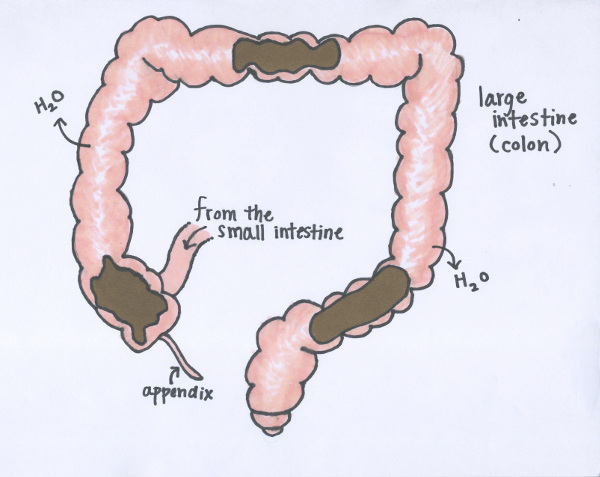 Some people have trouble absorbing bile acids in their ileum (the last third of the small intestine). Bile acid malabsorption can cause diarrhea as it irritates the lining of the colon. Bile acid malabsorption may be caused by short bowel syndrome, loss of function of the small intestine due to inflamamtion, cancer treatmens, allergies, or other disorders. Bile absorption may be affected by gall bladder removal, etc. Other causes and types of diarrhea are described in detail here. Disclaimer: Conditions such as 'Diarrhea' that cause tissue changes could be serious and should be checked by a medical doctor. Augment your diet with these specially chosen ingredients below which may be useful for 'Diarrhea'. Individual results vary depending the cause of your imbalance and by constitution. Please research the ingredients below to find which are most helpful for you, and check with your doctor before making any changes to your health and wellness routine. HOW DOES AYURVEDA HEAL 'DIARRHEA'? With Diarrhea, one or more of the following doshas and qualities may be aggravated. If you have an imbalance of one of these doshas or qualities, Ayurveda recommends avoiding foods and lifestyle habits that aggravate that quality and/or dosha. These imbalanced doshas and qualities may need to be brought back into balance before this condition can be healed. Click on the quality to learn what foods and lifestyle habits should be avoided. Everything you eat has an effect on your body, which Ayurveda categorizes in a simple and easy way, using gunas. Gunas are qualities (like cold and hot) that describe the effect a food or herb has on your body. Cooling foods like cucumber, decrease metabolism. Heating foods like chili pepper, stimulate your body and increase metabolism. For 'Diarrhea', you should select foods with the following qualities (gunas). Individual results will vary, based on your body type and the root cause of your imbalance. The following symptoms & habits may be related to 'Diarrhea'. See your quiz results for a computerized assessment of your body type. Please click on the symptoms below to learn more about them. How does 'diarrhea' affect your quality of life? What aggravates it? What has helped you? Is there something you'd like to know about 'diarrhea'?